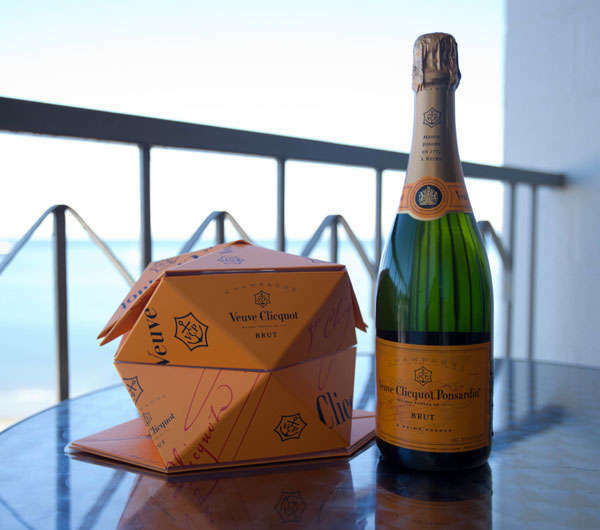 Champagne has become a cultural symbol for luxury, and these Veuve Clicquot creations demonstrate that few companies are as talented at branding haute opulence. The French champagne house conserves not only a rich history of innovative sparkling wine production, but a knack for maintaining its product at the pinnacle of premium. This has translated into an extensive amount of involvement in having its iconic label manifest into new realms elegant branding. Veuve Clicquot is credited with bringing back Polo to New York city after 70 years. The company is also responsible for art installations that incorporate its signature yellow shade. From its Clicqu’up Orignami ice bucket to its partnership with Florence Deygas, the brand shows no sign of slowing down and will continue to set standards of splendor.